Still Life was inspired by a photograph by Fréderic Lebain. There are 7 reviews of Still Life. Very weird experience. It starts off with citrus, but a huge blast of Sechuan pepper that makes my arm smell disconcertingly like it's rotten or dead, or my arm turned into a gourmand pepper pencil sauce. Very creepy! There is some booziness, but much more turpentine galbanum at the base, but I prefer Tommy Bahama compared to this. Worst one by far! I'm noticing a common theme with this line. The opening is really nice. Mint and Citrus are all that I get. No cedar and no rum. It dries down and all but disappears after 40 minutes. Not worth the full retail price by any means. If they made an extrait of this available it would probably be superb! Still Life's first seconds catch your full attention with lemon and mint, all I could think about was 'mmmmmm'. After a couple of seconds they already leave and let the Yuzu and Mandarin notes take over. Fresh and not sweet, the opening is 'happy and summery'. If only it would last longer or, even better, be merged with other kind of notes later on. Through a fresh ginger phase, this slips into greener territory, something in the range of lemon balm and lemongrass. On me, it stays as a melissa scent until the end. I have yet to find a perfume where I won't be annoyed and put-off by ginger, I think it's the main reason why my initial euphoria completely disappeared, despite the ongoing freshness. It also becomes more 'watery' with time. Instead of the rum note I was hoping for, a cuba-libre (without coke) is the closest thing it comes to, at least on my skin. The longevity is good on me. It's a nice scent for warm climates. Even though the scent itself is pleasant, I'd wear it, but I don't crave it. This fact, combined with the price tag, puts it in the neutral zone for me. 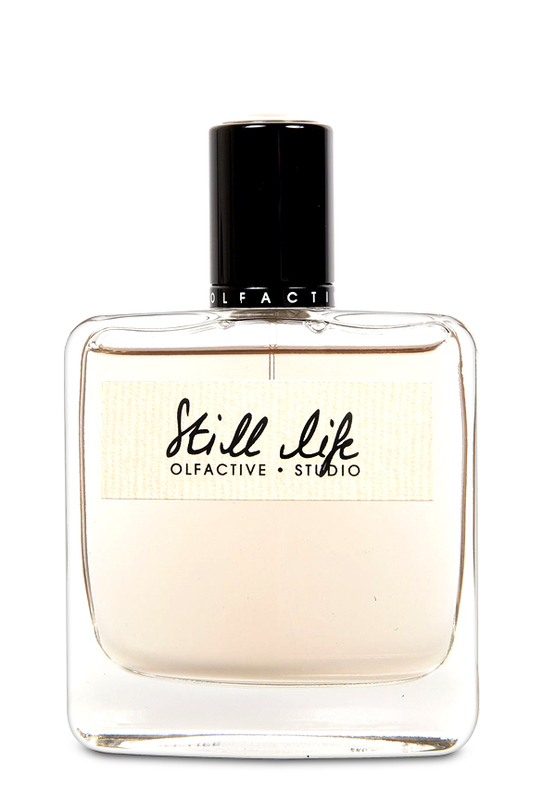 Still Life by Olfactive Studio opens with a catchy citrus-fizzy note, a bit plain but lively and zesty, with silky and slightly creamy neroli/orange nuances, then an odd sort of greenish-mossy “warm” accord, a bit metallic and a bit salty (calone?) with a sort of sweaty-shady substance but at the same time fruity, which I can not really identify (I read the scent shall contain notes of galbanum, elemi, spices, perhaps the way the three of them are elaborated creates this weird soup-ish accord - especially because of galbanum). Finally, sandalwood and resinous notes on the base. I don’t get the boozy note, at least not that clear. Overall, despite the peculiar opening, the scent quickly turns into a quite conventional and mono-dimensional fragrance with no particular interest whatsoever, basically a fizzy citrus-green scent with spices, floral nuances, resinous-ambery-woody notes and overall sweet-creamy texture – a sweet Oriental, in short. The only variation which may still keep your attention alive is “that” odd accord, which won’t go away for quite a while, providing a (to me) fairly unpleasant metallic-sweaty-salty nuance, halfway spicy and rotten with an odd, warm fruity feel. Not that far from some 1990’s masculine scents, the spicy-sweet ones, almost smelling like a sort of half-creative, half-insulting cut & paste collage of some key notes like citrus, woods, spices, resins. Intriguing at first (just to see “where it is going”), then (once you realise it’s basically going nowhere) a bit boring and unsubstantial, yet overall not that bad. Fun to try if you have the chance to. Full of sparkle and joy! Lovers of yuzu, or citrus in general... this is one to check out. Still Life is a little tart, balanced nicely by the different types of pepper and dry woods. One of the happiest, brightest citruses I have come across in the past few years. Good lasting power as well. Olfactive Studio Still Life 1.2ml Bottles New In Box! Fast Shipping! There are no member images of Still Life yet. Why not be the first?